Our sleep patterns are governed by our circadian rhythms. Our circadian rhythms are our ‘body clock’, releasing hormones to make us wake up, get hungry, get sleepy and so on at certain times, in response to certain stimuli. Thing is, our body clocks aren’t set in stone. They can be thrown out of whack by various different influences. For example, our circadian rhythms evolved to judge waking and sleeping times according to the prevalence of daylight. When bright, ‘blue’ morning light seeps through your bedroom curtains, your eyes detect it through your eyelids and, even though you’re sleeping, your brain will start to produce serotonin – a chemical which wakes you up. However, artificial sources of ‘blue light’ will have the same kind of effect. Children who play on their mobile devices before bed are drenching their eyes in the ‘blue light’ which emanates from phones. This is in turn encouraging their brains to produce serotonin (despite how tired it ostensibly is), which then keeps them awake long into the night . Changes in routine can also disturb your circadian rhythms. New mealtimes, new waking times, new bedtimes – all of these will confuse your child’s circadian rhythms, and perhaps disrupt their sleep. It’s this kind of profound routine change which gives recovering addicts and jet-lagged people insomnia . But don’t worry. Our circadian rhythms, while easily confused, are pretty adaptable. With consistency, they’ll soon start going with the flow, and healthy sleep will follow. Good, healthy meals eaten at fixed intervals are one of the best ways to promote healthy sleep in your children. Conversely, an unhealthy diet eaten at random times is likely to impede their sleep. 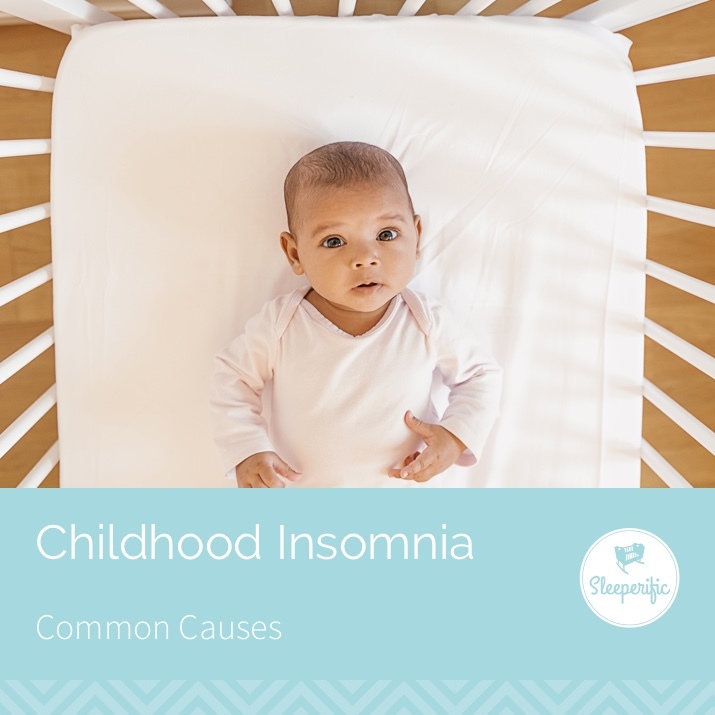 Too much sugar, caffeine, and fat in the diet generally (but particularly before bed) is likely to at the very least give your child disturbed sleep, if not keep them awake altogether. Sugar is particularly bad for sleep, as blood-sugar imbalances are something to which the body responds in an urgent manner, going so far as to wake you up when it feels the need to alert you of a sugar ‘crash’ or a sugar ‘high’ . Often these ‘highs’ and ‘crashes’ are artificial, brought on by too much processed sugar, but it’s still not great for a healthy sleep cycle. To keep your child snoozing as they should, make sure that they get a healthy diet. Sad to say, our children do get stressed and anxious . We all know that worrying is particularly effective at keeping us awake, and that our brains seem to delight in running all of our worries past us just as we’re trying to get to sleep. However, stress also disrupts sleep on a more insidious level. The chemical and physiological processes of stress are designed to keep us alert in order to combat the ‘danger’ we’re ostensibly stressed about. This makes sleep much harder to achieve. If we do manage to sleep when we’re stressed, it’s likely to be a light sleep, which doesn’t really regenerate us in the way that it should. If your child is experiencing unexplained insomnia, before rushing to the doctor, try some gentle investigation into sources of stress within their life.